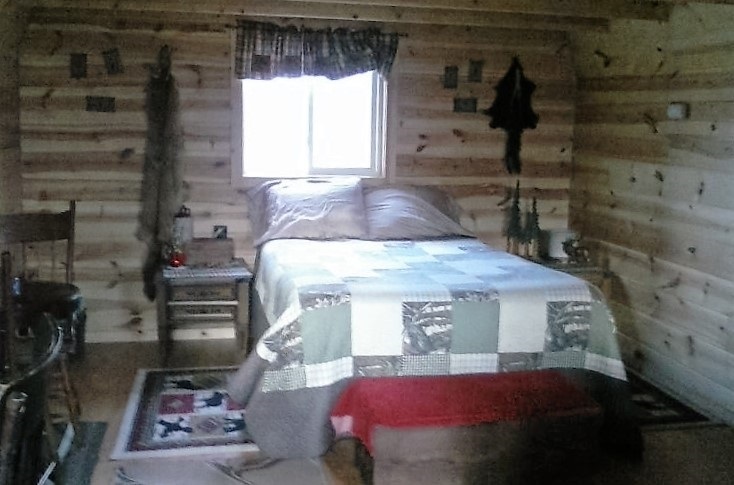 This Rustic cabin is located on a ridge with a full view of the sky in a secluded peaceful setting. It is fully furnished including, a full bed (room for a cot), tableware, pans, bedding, lanterns, charcoal grill,chairs, wood & firepit. There is no electricity or water in the cabin. Both an electric outlet and a water hydrant are located outside the cabin, along with a portable toilet.